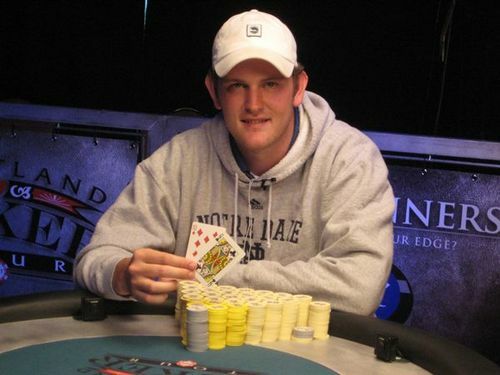 If you’re a poker player and you haven’t heard of Shane Sigsbee, don’t feel bad because you’re not alone. Sigsbee has a respectable $417,130 in live tournament winnings, but he’s never won a WSOP bracelet, WPT title or EPT championship. The former college golfer did win the 2008 HPT Chicago Main Event along with $206,273, but HPT champs don’t usually become household names. To know his poker beginnings, one would have a tough time envisioning Sigsbee as such a big part of the staking community today. He first picked poker up during long bus trips as a golfer for the University of Notre Dame. From here, he started playing online poker and eventually experienced success, although not enough to quit his job as a Chicago options trader. Then, in 2008, his world all changed. He decided to enter the HPT Chicago tournament because it was nearby. What happened then was a run that he describes as being “in the right place at the right time.” Encouraged by the $206k score and laid off from his day trading job, Sigsbee convinced his wife that they should travel the tournament circuit while she worked for online magazines. What ensued was a six-week stint in Colorado, trips to Florida, California, Fiji, New Zealand and Australia – the latter of which is where they decided to start staking other players. By 2011, Sigsbee managed to collect $1 million from investors so that he could stake 35 players who were competing in various tournaments. Today, Sigsbee’s staking business has grown to the aforementioned 80 players. And what’s amazing is that he’s only had one losing month in the last two years. Daniel Negreanu is a perfect example of this. Two years ago, the famed pro invested $2 million in a large group of players at the WSOP. They collectively lost around $1 million of his money. Negreanu contends that some of the players weren’t serious enough about the events, given that they weren’t competing with their own money. Now, the 40-year-old has dramatically scaled back the staking he does, only backing two grinders. Taking everything into account here, Sigsbee must have quite the talent for poker staking, a tribute to his earlier day-trading job. Managing a stable of 80 players and consistently showing profits, he’s no doubt one of the more successful figures with regard to backing.